Phil Taylor - the greatest dartplayer ever - was born in Burnslem. When he was 16 he had finished with school and went to work as a metallworker in the local company JF Sale & Co. He was without work from time to time and several times changed his employer but he played darts all the time. First he played league and then he played in The Huntsmen in Burnslem where he met Erik Bristow. It was at the time when Bristow suffered from dartitis. Maureen Flowers, an exceptional dart player herself, manager and at that time partner of Bristow encouraged Bristow to sponsor Phil Taylor. Bristow gave Taylor 10 000 pound - quite a large sum at this time - which Taylor should hand back as soon as he started winning. Taylor went into an unpaid vacation, married and in 1990 played his first tournament, the Canadian Open, and won it. In the final he beat Bob Anderson and was through the win qualified to play the BDO World Championship. He won it as well dfeating his mentor Erik Bristow in the finale. From this time on Phil Taylor dominates the sport of darts - first the BDO and some years later the PDC of which he was a founding member. Taylor's consistency is unbelievable - only five times in all those years he didn't win the World Championship title. 1994 he lost in the final to Dennis Priestley, 2003 the Canadian John Part could beat him, 2007 Raymond van Barneveld defeated him and in 2008 he didn't even reach the final because he was in some kind of form crisis. In 2011 and 2012 Adrian Lewis won the World Championship. Taylor regained the title in 2013 but doesn't look as unbeatable any longer. The only weaker period in his career he had from autumn 2007 to spring 2008. He changed his darts several times and changed a few other things he'll not give away and came back in summer 2008 stronger then ever. His averages exploded and in 2009 he won beside a few Pro Tour events every Major tournament with the exception of the Premier League. 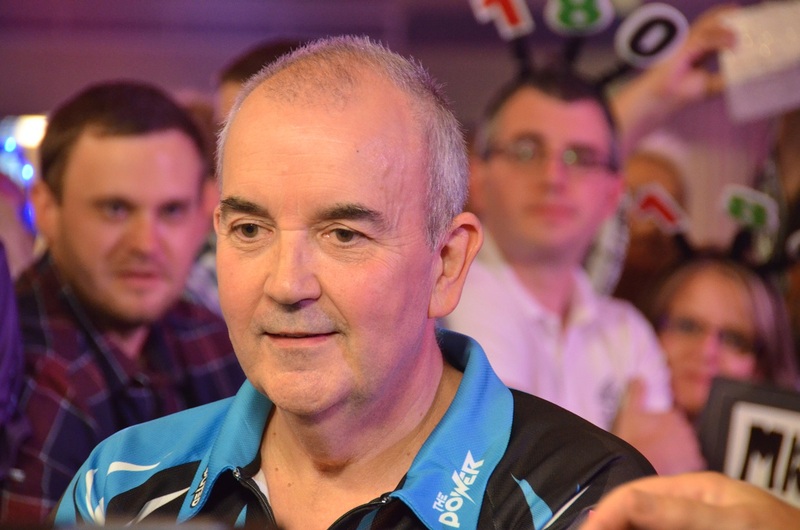 Phil Taylor certainly is an exceptional player. His accuracy in unbelievable perhaps due to the fact that his darts land in the board different. His motivation and dedication are admirable, he's working harder then most of the players and to be sure he is a perfectionist and always on the hunt for possible improvements and might be faults. He's got an enormous mental strenght and dominates his opponents mentally as well. After a real strong year 2013 Taylor faded a little bit in the following years but stays under the Top three of the PDC Order of Merit. During the next years there were always rumours Taylor would soon end his carreer though in the end it took till the PDC World Championship 2018 till Taylor really retired. He reached for the last time a World Championship final but lost to Rob Cross. Before Taylor had secured himself his 16. World Matchplay title.